Hi, i will be your kitesurfing instructor! 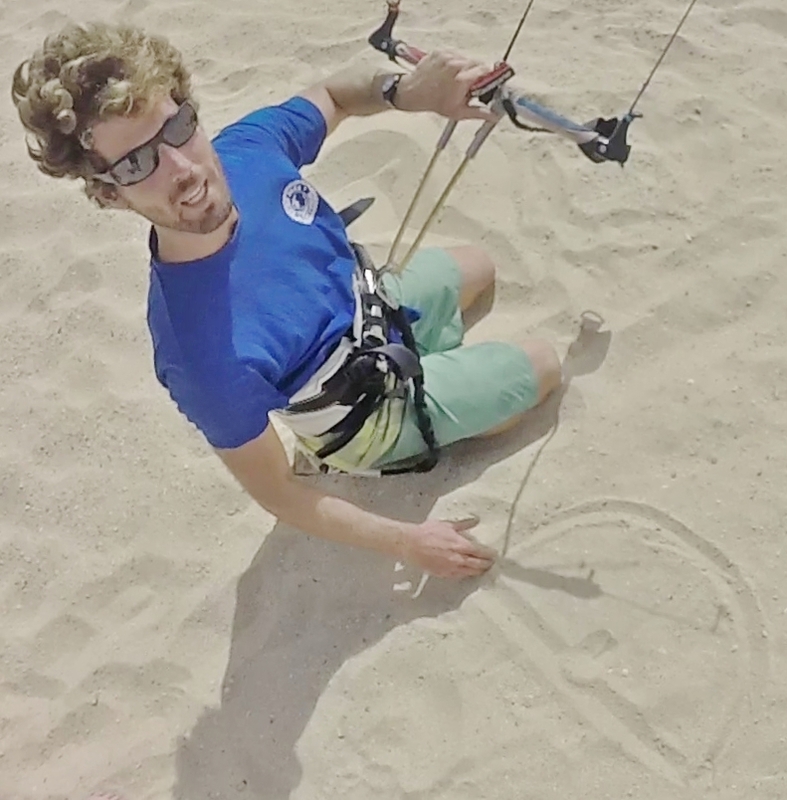 My name is Harmen Bakker and since 2012 I have been teaching Kitesurfing full-time. Since i was young i have always loved being on the water. I put the focus of the kite surfing lessons in Tarifa on safety, kite control and independence. My goal is to enable you to enjoy this awesome sport independently and safely! Learn to Kitesurf in Tarifa with Kau Pi Kite! Kau Pi Kite offers kitesurfing lessons in Tarifa, Spain. We offer Kitesurfing lessons in English, Dutch, German and Spanish. A mix of the latest equipment, Very experienced IKO/VDWS licensed instructors and Small groups (max 2 students per instructor) ensure that you will learn how to kitesurf in a safe, efficient and fun lesson. We even give you the guaranty that you will learn to ride on the board in a maximum of 10 hours of private lessons. If you need more then 10 hours then you get the next lessons for free! If you can already kitesurf safely and independent than Kau Pi Kite also offers kitesurf rentals in Tarifa. Tarifa is a small town in the province of Cadiz, Andalusia, on the southernmost coast of Spain. It is primarily known as one of the world's most popular destinations for wind sports. The town is located on the Costa de la Luz and across the Straits of Gibraltar facing Morocco. Rent kitesurf equipment in Tarifa. Have you learned to kitesurf but have not bought your own equipment yet? Do you not want to fly with heavy and expensive excess luggage? Then rent all the gear you need from us! Kau Pi Kite offers full euipment rentals with the newest equipment from Zian kiteboarding and Prolimit. The kite needs to be pumped up and we need to connect and check the lines. The instructor will prepare the kite together with you. Teaching you how to set up your kite. Kite surfing is an amazing AND safe sport. It is not a dangerous sport IF you take care of your safety. So after preparing the kite we will take a moment to teach you how you can practice safely with the kite. The instructor will show you the safety systems of the kite and he will teach you when and how to use them. He also learns you how to see where you can kitesurf safely and which weather conditions are suitable.